Practicing for chinese driving license. 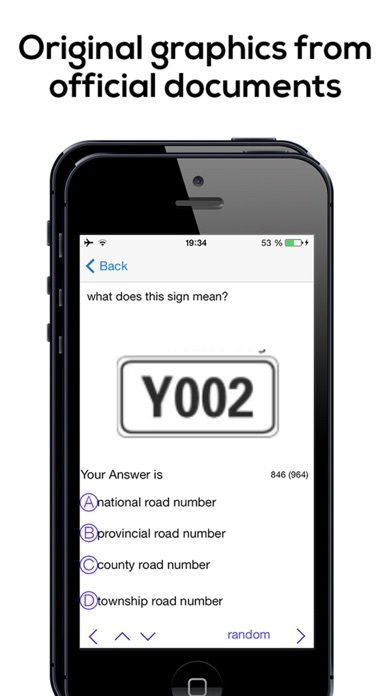 Simple and effective training to pass the exam for the driver's license at the first try! The international driver's license is not always sufficient to drive a car in China. Depending on local regulation you need to pass a separate exam. Practicing before doing the theory exam is strongly adivsed, and with the help of this app it is as simple and realistic as you only could wish. Driving Theory China is the ultimate helper and practicing tool to help you pass the exam for the driver's license. More than 1000 of the latest questions from 2014/2015/2016 theory exam. >> Passing the exam is a simple task if you practiced with this app! Passing the drivers license exam is the first step to obtain a driving license, regardless if you are a local citizen, a permanent resident or a foreigner. 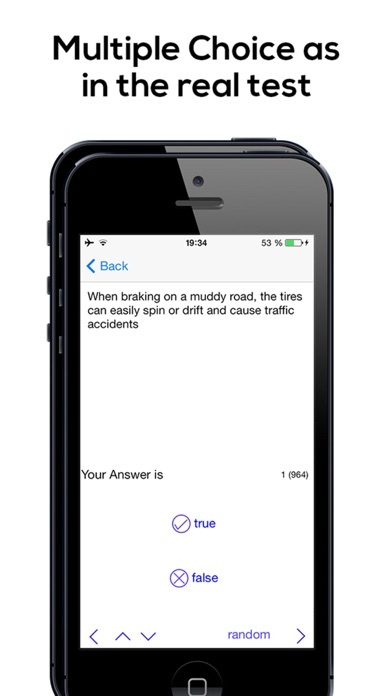 The Driving Theory China App is a mock test derived from the original exam. It is accuarately simulating the timing and nature of the real test. 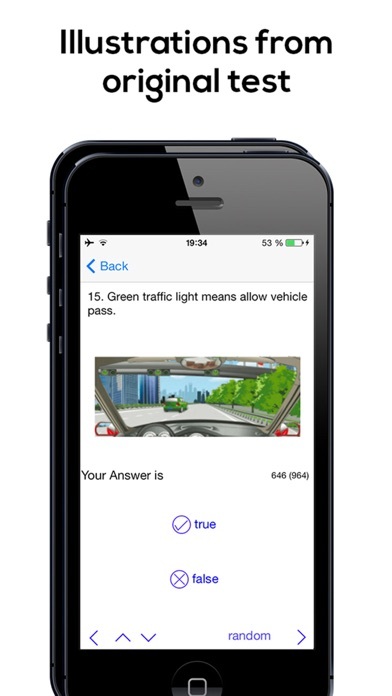 Practicing with the Driving Theory China app means that you are answering original questions presented the same way as in the original test. Driving Theory China makes passing the exam a piece of cake. Don't miss this opportunity if you want to drive a car in China, save time and money!